Smile, have fun, and keep your bow moving! Sunday, March 3, 2019, 4pm, hear the Seattle Lilla Spelmanslag in concert at the Phinney Community Center Concert Hall (in lower brick building). Doors open 30 minutes before the show. 6532 Phinney Ave N, Seattle 98103. 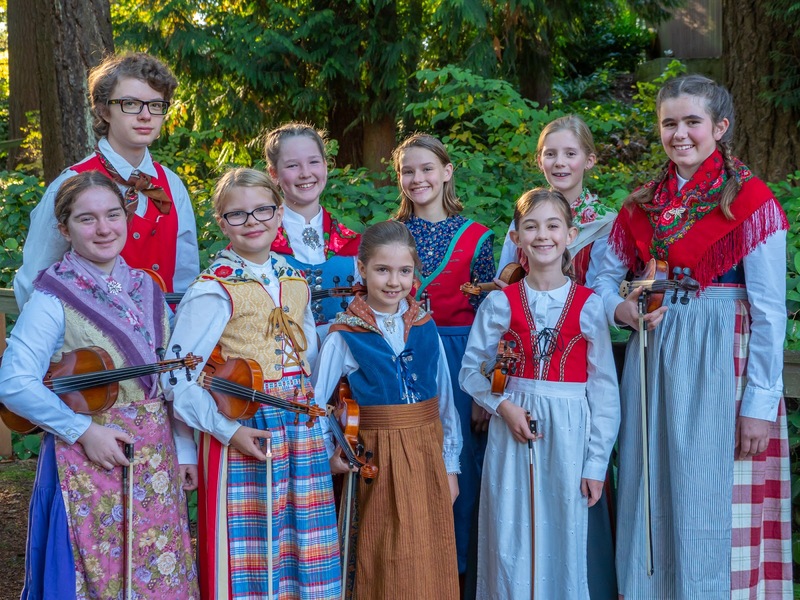 Come out and hear this amazing Seattle-based group of young musicians who are carrying forward the Nordic folk music tradition! The group was started more than 50 years ago by Gordon Tracie and is the only surviving group of its kind in the United States. Last year they celebrated ten years under the leadership of Martha Levenson, who was awarded the prestigious Award of Merit by the Swedish Council of America in April 2016 for her work with this children’s group. 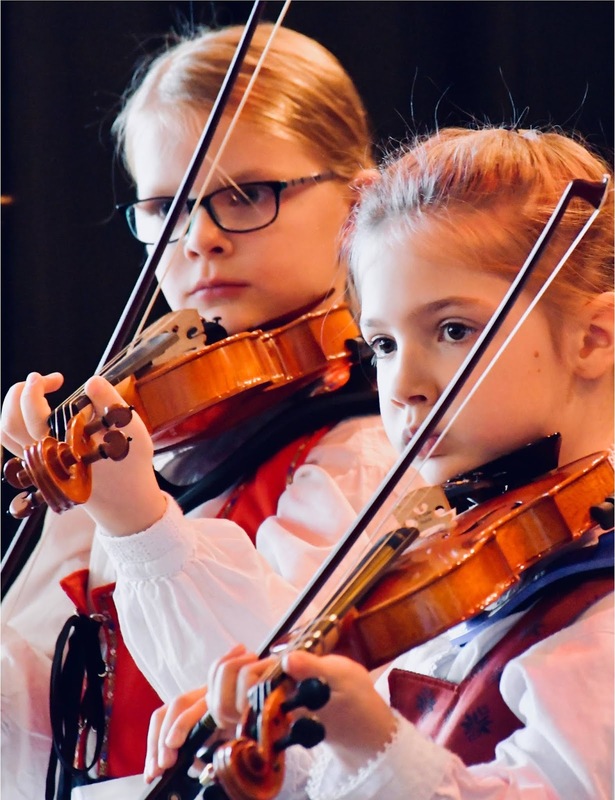 The Seattle Lilla Spelmanslag, currently made up talented young musicians ages 8 – 15, is in demand around the Pacific Northwest and stays busy with ten shows a year, including playing for dances, at festivals, pancake breakfasts, Syttende Mai celebrations and parades, and even touring in Sweden and Denmark! The next tour is tentatively planned for Norway in 2021. They play great, energetic, rhythmic, beautifully styled folk music meant for dance. This group teaches youth a living tradition, the music from the Nordic countries of Finland, Denmark, Sweden and Norway. The music is taught in a cultural context linked to history, dance, a way of life, and to the current folk music scene. All of the music, including harmonies, is learned the traditional way, by ear. Interested families are encouraged to contact the group to arrange a visit. New members start every September. All monies raised at this concert from ticket sales, CD sales and refreshments, will go toward providing scholarships for participants, support travel, and provide resources to work with visiting artists. Refreshments are being donated by Skål, Ballard's only Viking pub.